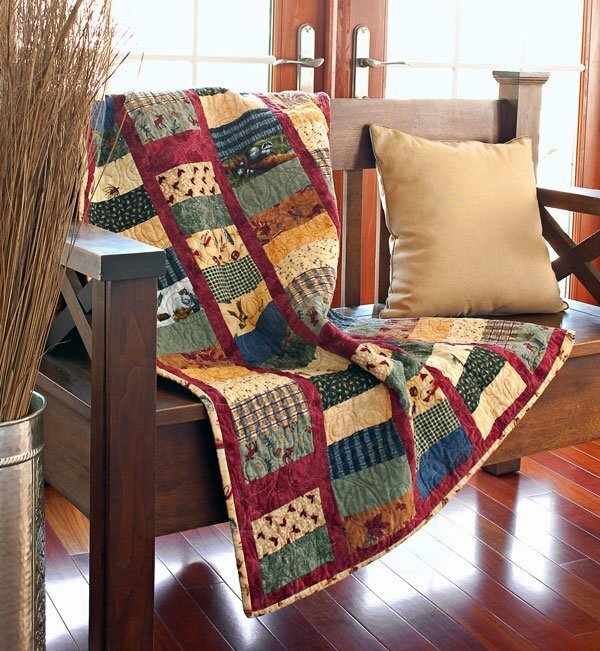 This is a great scrappy quilt project with a heartwarming look and feel. The free pattern download is provided by All People Quilt, and Mary Helen Schiltz has done a wonderful job detailing the project. If you're a beginner or if you're just looking for a quick and easy project that will eat through your pile of scraps, give this one a try!